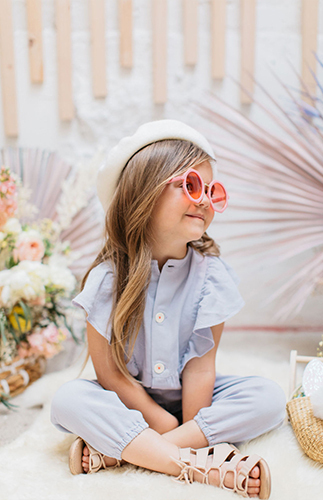 Calling all boho babes! 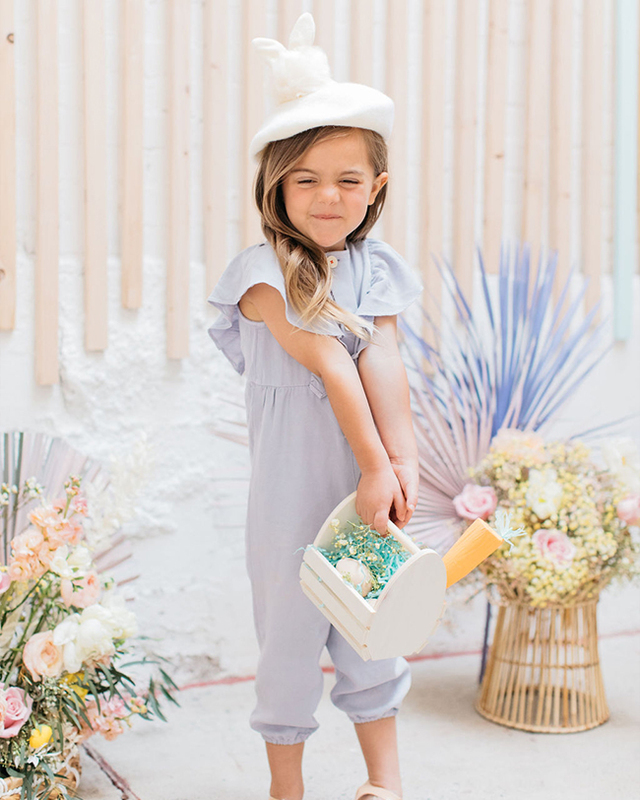 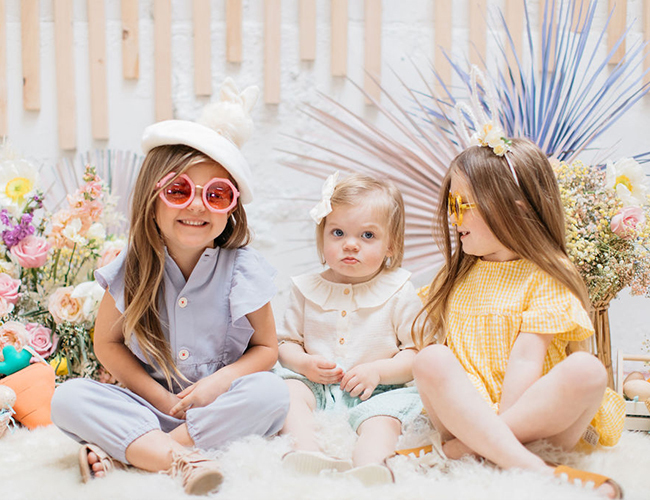 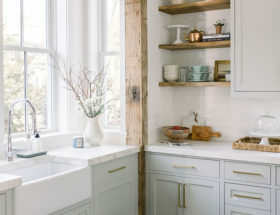 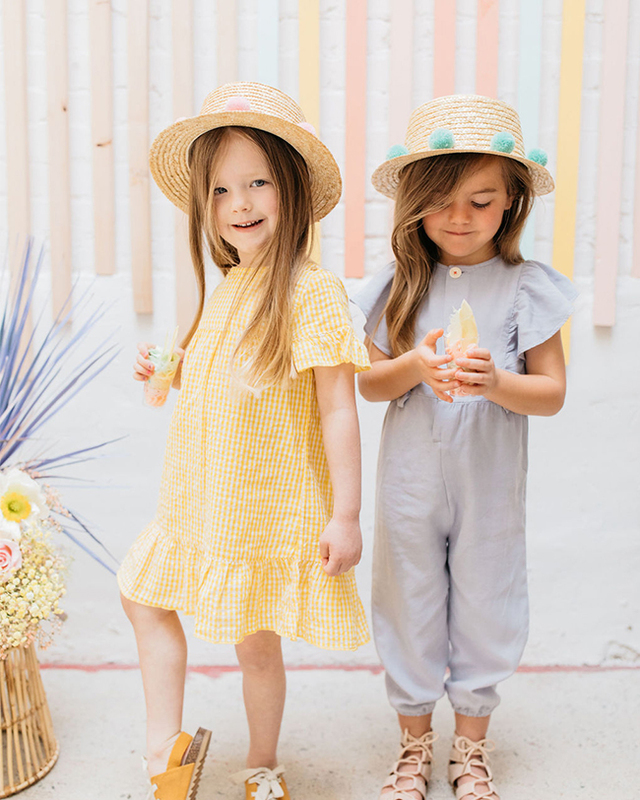 And your babes… this adorable Easter party for kids has that modern bohemian flair we all love, while still staying true to some of our favorite elements of the holiday. 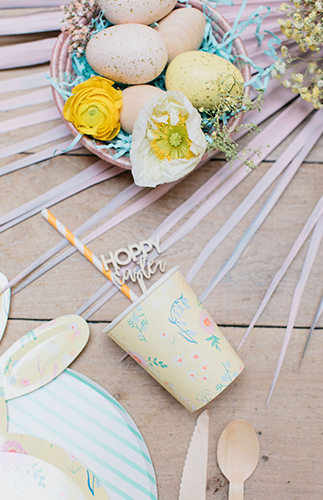 We’re talking pastel shades, bunny ears, baskets filled to the brim, and Easter eggs—duh! 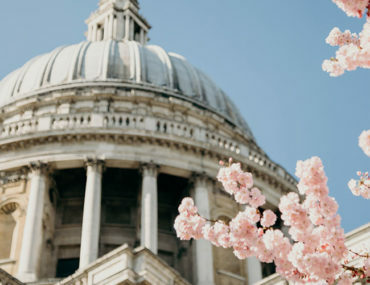 Plus, it features incredible (we mean it!) 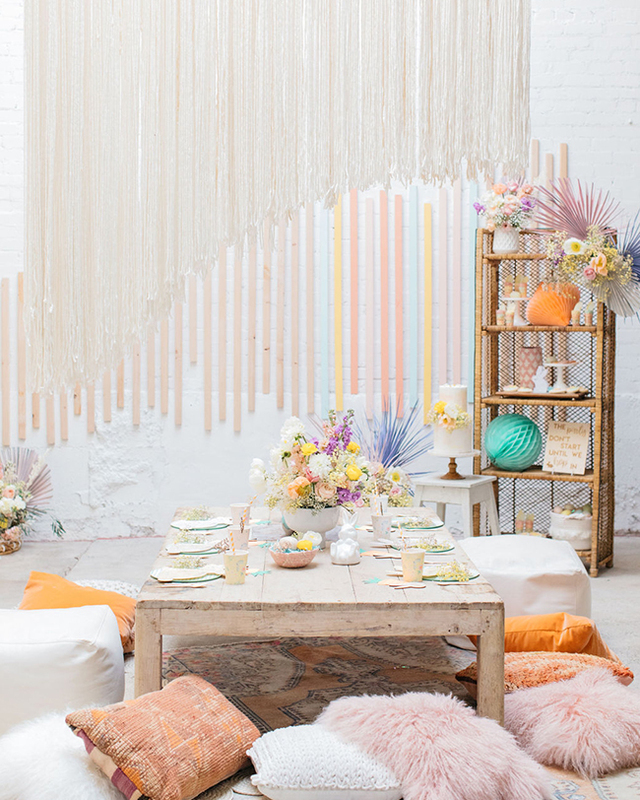 design like spray painted florals and a GIANT yarn installation. 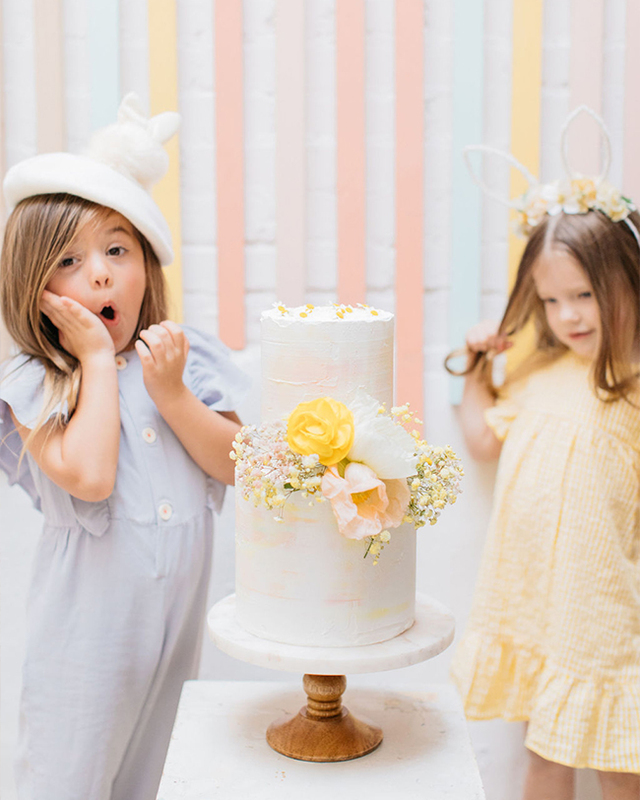 And what is an Easter celebration without dessert!? 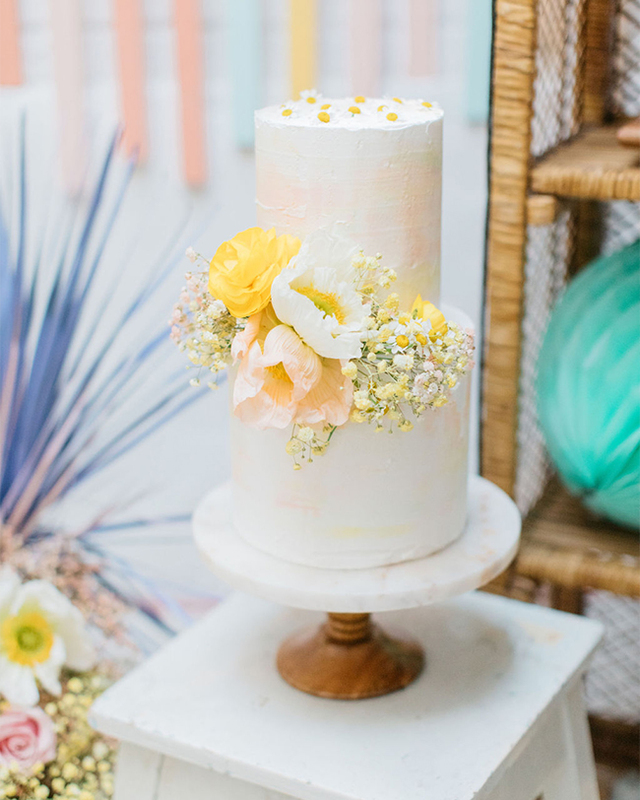 This boho Easter bash ended on a super sweet note with trifles and a floral cake. 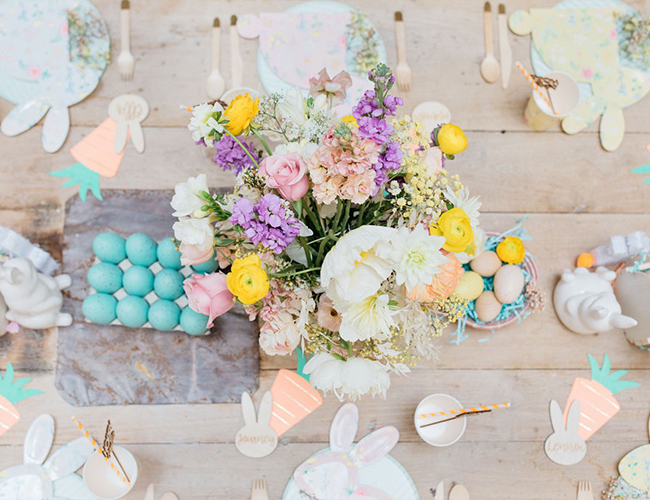 Melissa at Golden Arrow Events shares, Easter has always been a cheerful celebration for our family! 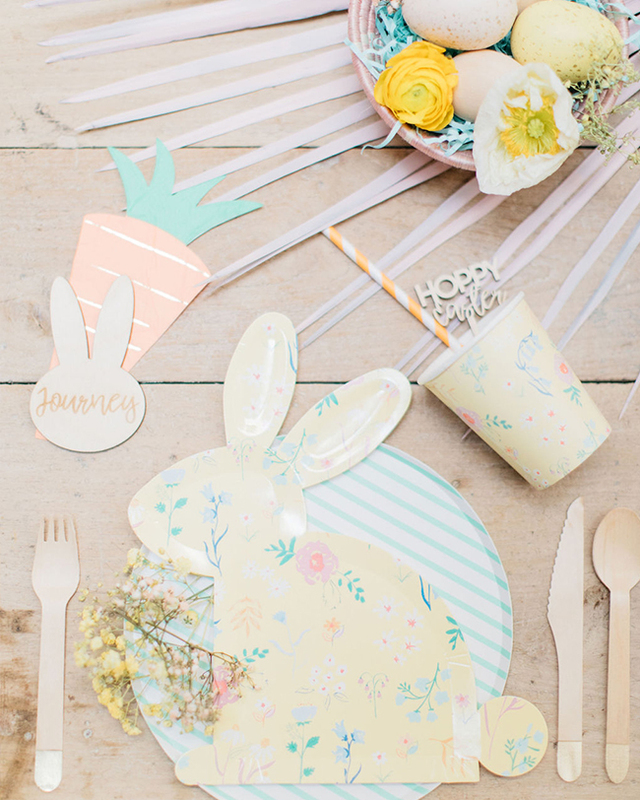 So when designing this Easter shoot, we wanted it to represent the colorful celebrations Sabrina and I treasure in our hearts. 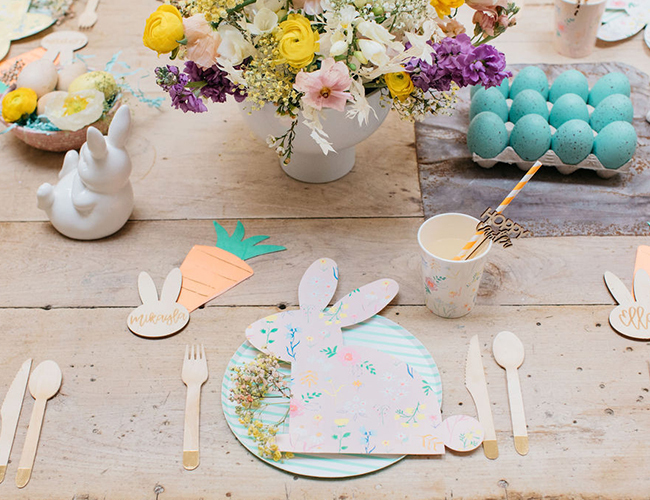 In keeping in tone with Easter’s traditional color scheme, we kept with soft pastel tones and pops of orange to add that carrot love throughout. 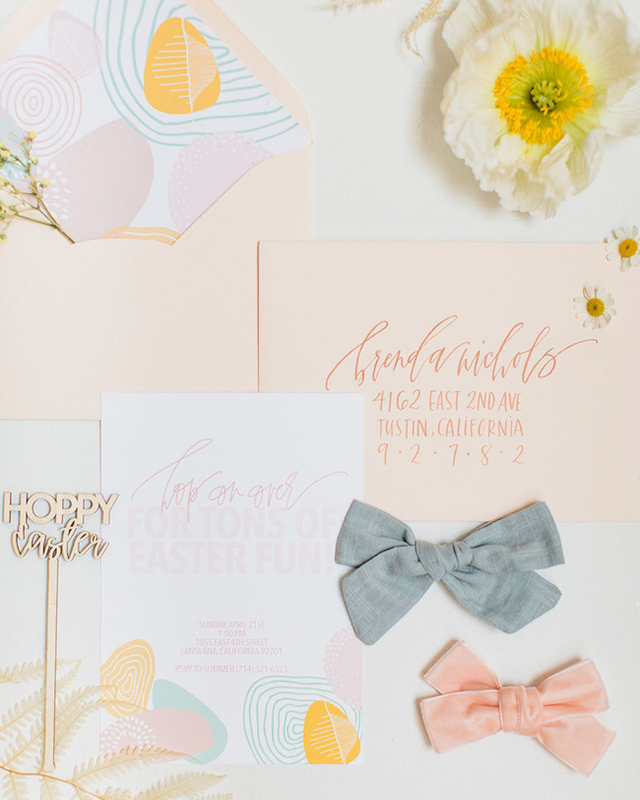 A party can’t start without a fabulous invitation, Double Dipped Calligraphy created a gorgeous invitation suite with fun modern egg pattern. 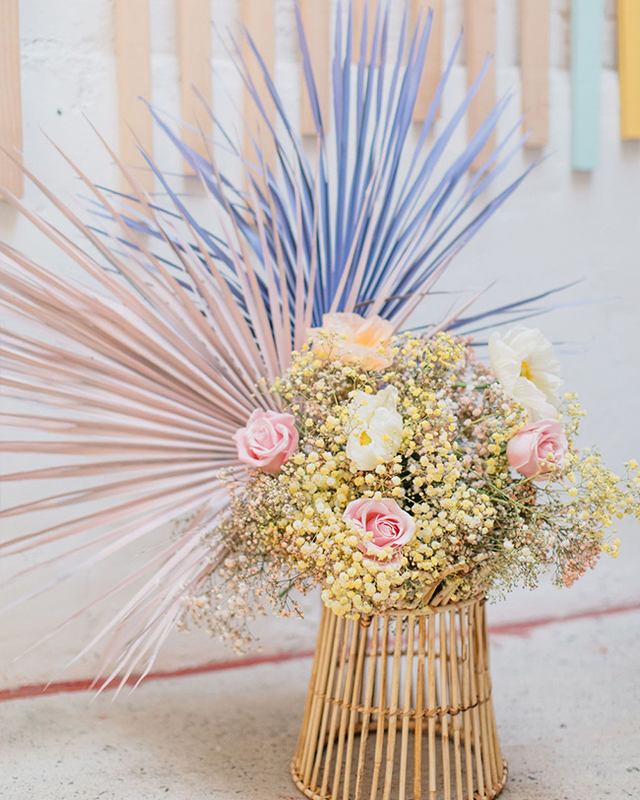 We enlisted Britney owner of Relevant and Raw to design and create one of her amazing masterpieces. 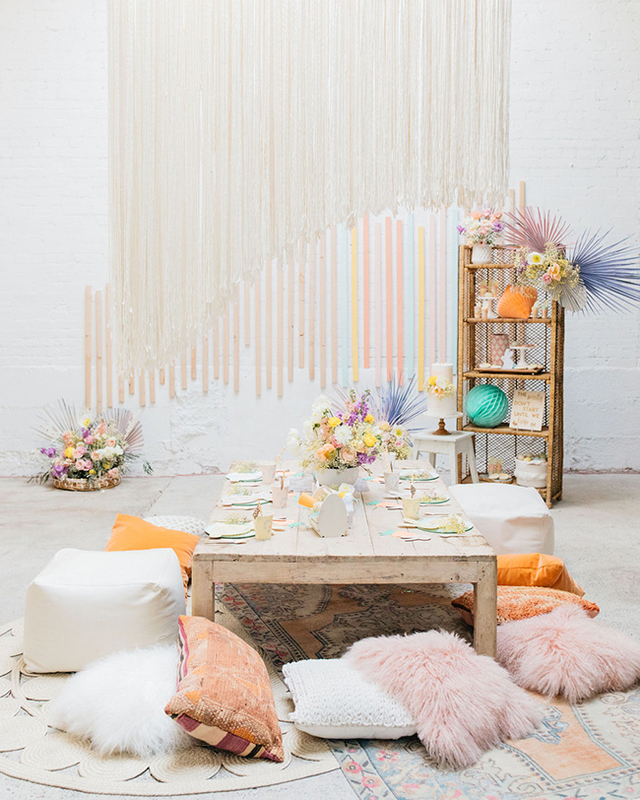 I would say she outdid herself with this outstanding 11 feet hanging yarn installation and playful backdrop, which is one of my favorite details of the entire shoot. 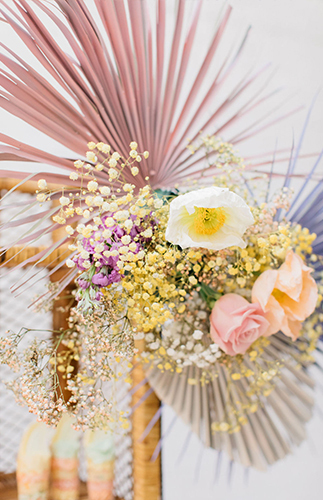 Easter wouldn’t be complete without stunning blooms, and the ladies at Spell Bundle created gorgeous arrangements. 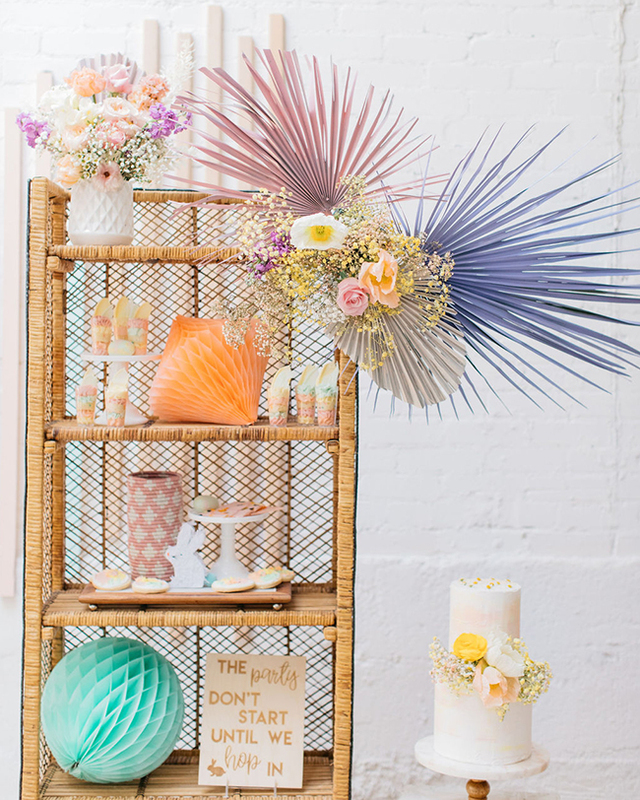 The painted palm fronds were one of my favorite details. 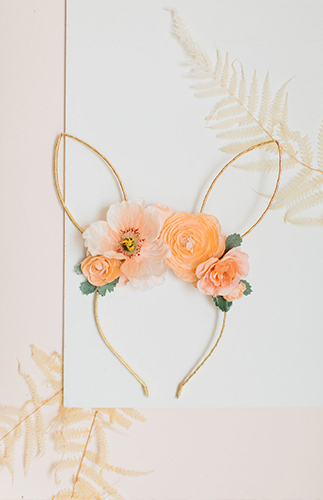 They added a fun and playful touch to the florals. 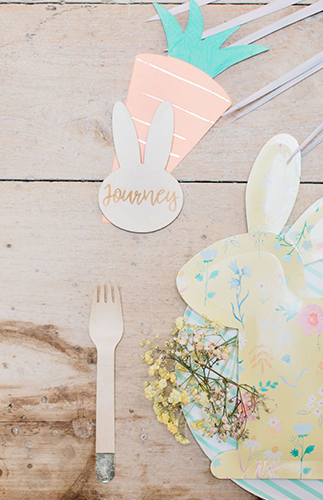 To add a fun personalized touch to our tabletop, we incorporated Studio Noel’s adorable personalized bunny tags. 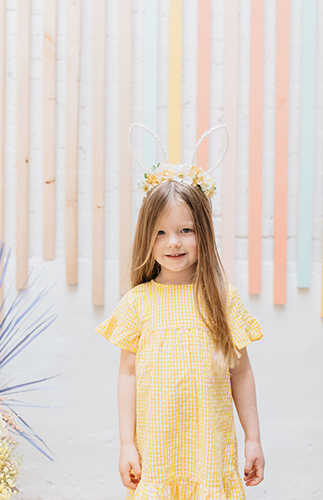 One of my favorite Easter traditions is finding the perfect outfit and accessories. 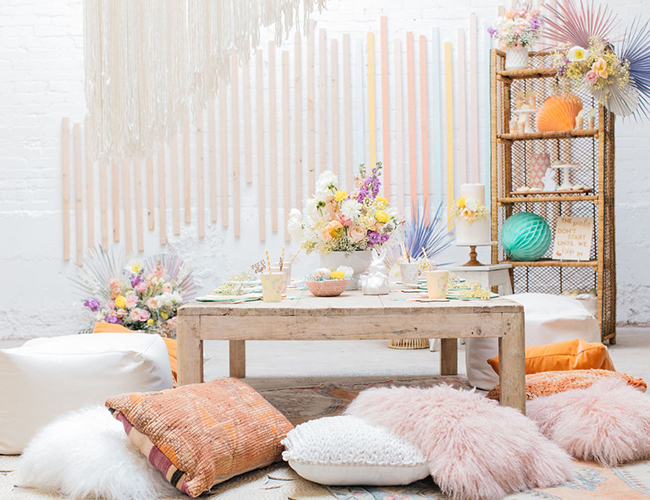 No need to look any further than The Daydream Republic! 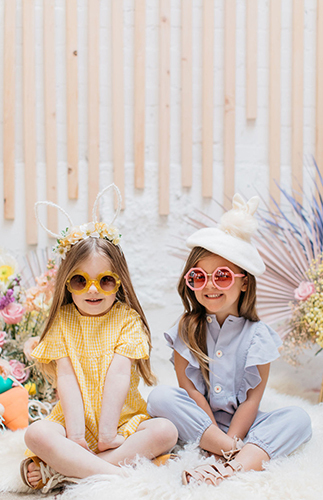 They have the most adorable Easter accessories, from their signature floral bunny ears to fabulous bunny berets. 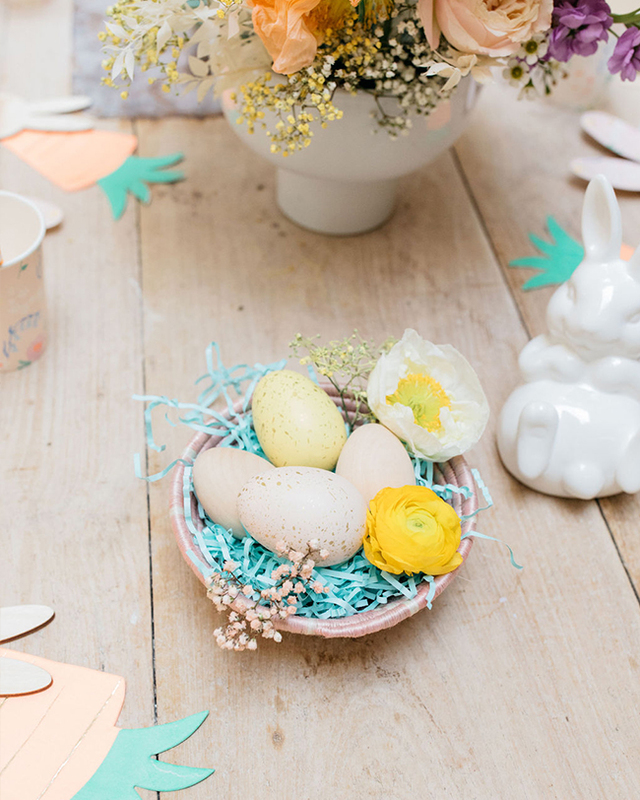 Finally, every holiday needs delicious desserts, right? 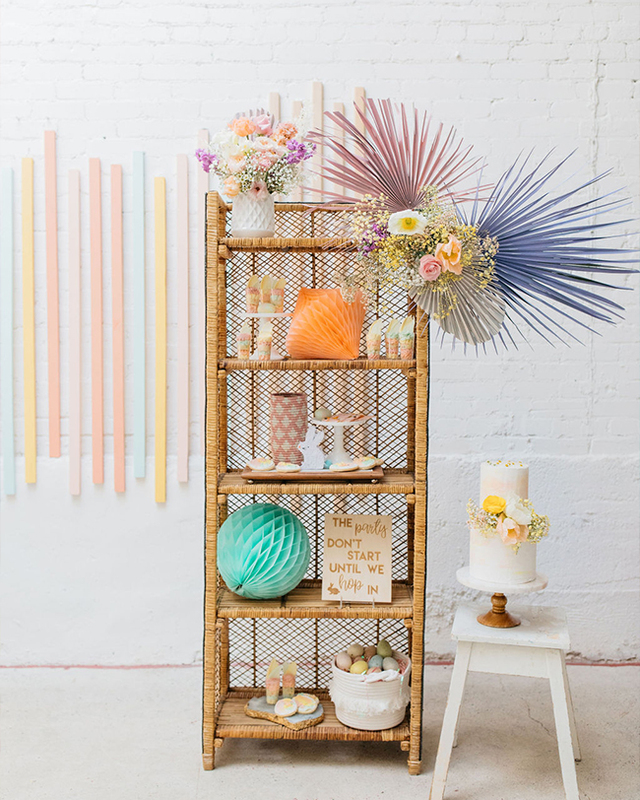 Grace and Honey Cakes has the most delectable desserts with her homemade preserves. 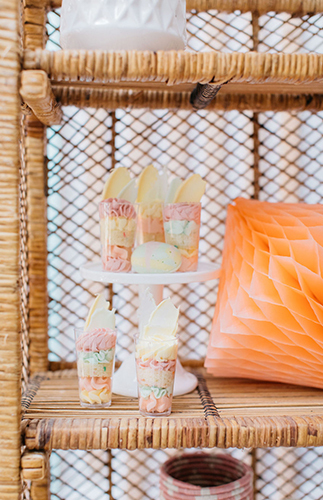 Not only are they yummy, but each dessert is exquisitely decorated. 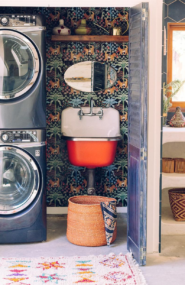 Sweet Salvage Rentals nailed it again with this stunning setup, we always love playing with her incredible inventory. 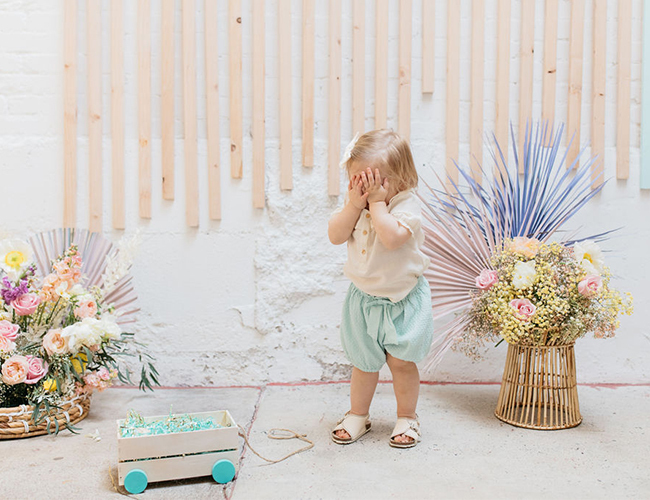 So thankful for Halli Makennah Photography for capturing every detail so beautifully.